Macarons are the fancy, French cakey sandwich cookie with many different individual flavors. My friends think these are wildly popular and too pricey. I think they can be pretty tasty except when flavors start mixing like pumpkin pie or banana sundae. 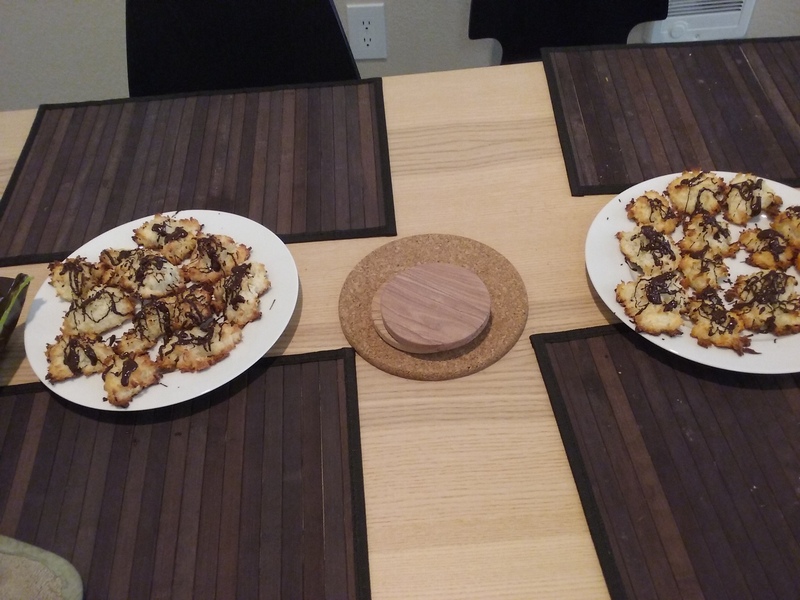 Macaroons are the cookie that my good friend and I prefer: the almondy, coconut flaked cookie often drizzled with chocolate. My campy movie friend who loves beer also came with some grapefruit beer, pineapple habanero beer and alcoholic ginger ale. I was not totally impressed with “The macaroon bible” because I felt that there were many flavors I just would not put in my macaroons. Perhaps this book is for the more inventive cook. Or, I am spending too much time with “The Dessert Purist” and will agree with him that the classic macaroon is the best. “The Cookie Bible” recipe is pretty great though and makes tons of these cookies. A faster way to add chocolate without the mess is to drizzle melted chocolate with a spoon instead of dipping. These were definitely a hit for the party and addictive to snack on the day after. I am a native Oregonian, but traveling has been my way of life since I was young. I was raised in Europe and traveled around Asia and Africa. I've studied two languages and plan to add more. Along with travel, enjoying a passion for food, art and culture is apart of my daily life. My hobbies other than writing are cooking, reading, watching films and attending cultural events.